.5 oz. 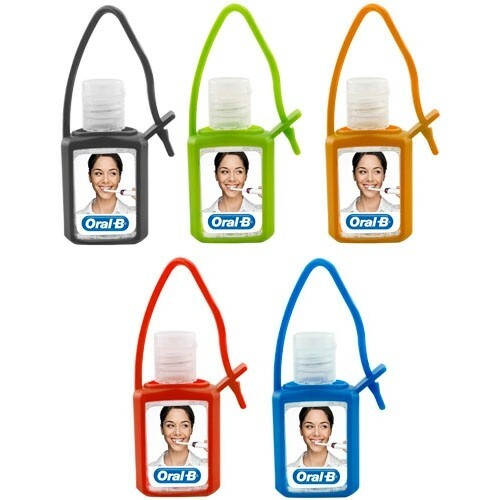 Pocket hand sanitizer gel with a silicone colored case. FDA approved.